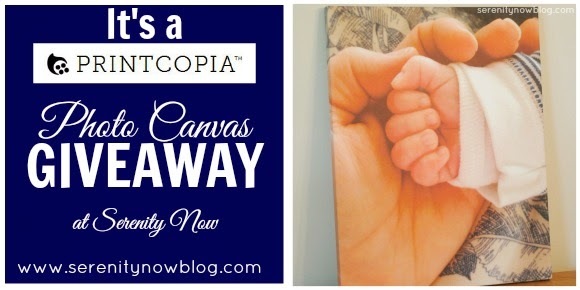 Serenity Now: Photo Canvas Giveaway from Printcopia! This post brought you to you by Printcopia. All opinions are my own.// I have a little love affair with photos on canvas. I love displaying family photos in our home, whether it's a copy of an heirloom portrait that's a hundred years old, a family photo, or something I shared on Instagram last week. Keeping those photos out on display is a form of inspiration for me. What better way to relive and cherish those people and moments than with a snapshot? It's my pleasure to offer a Printcopia Canvas (plus free shipping!) as a Giveaway for one Serenity Now reader. Keep reading to find out how to enter! Printcopia was kind enough to send me a canvas to review, and I decided to test them. Rather than choosing something shot from my Nikon, I opted for an iPhone photo. I settled on one of my favorite candid iPhone shots...a pic I snapped of Harris' hand resting in my own. 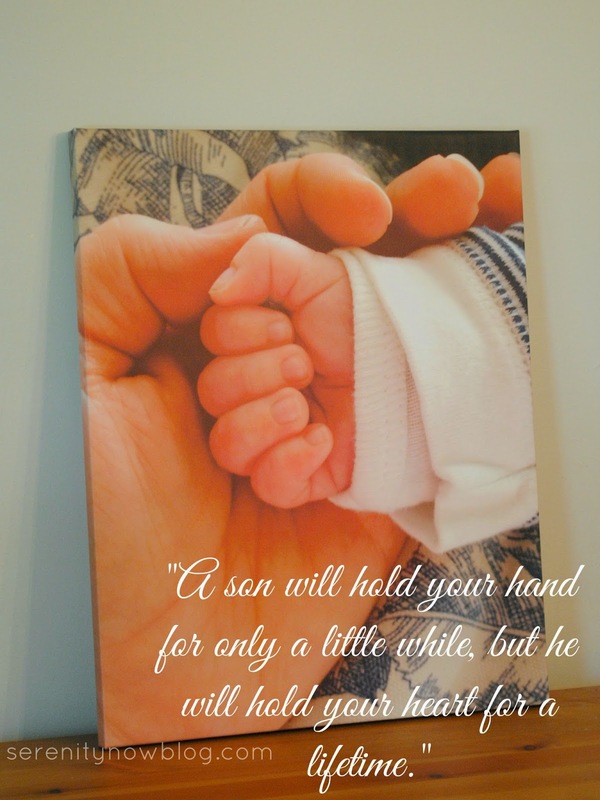 I love the simplicity of the photo...it reminds me of the quote "A son will hold your hand only for a little while, but he will hold your heart for a lifetime." Ordering took me less than five minutes once I knew what I wanted. 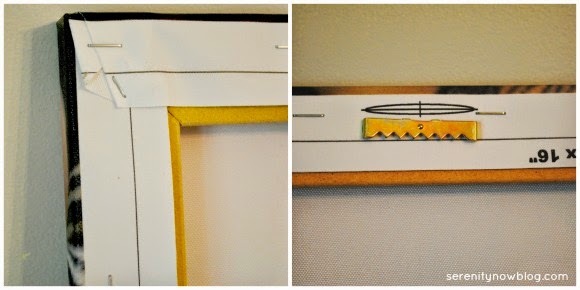 It was as simple as choosing a canvas size, uploading a photo, choosing a style (mirror image, border color, or image wrap), and choosing options such as color finishing or retouching. When my canvas was complete, I received an email with tracking information, and the canvas arrived in a well-protected cardboard wrap/box. I was impressed with the quality of the image after transferring from an iPhone to a canvas. Sturdy frame, nice thick canvas. Now I have a "mommy moment" I can cherish forever. Guess what? 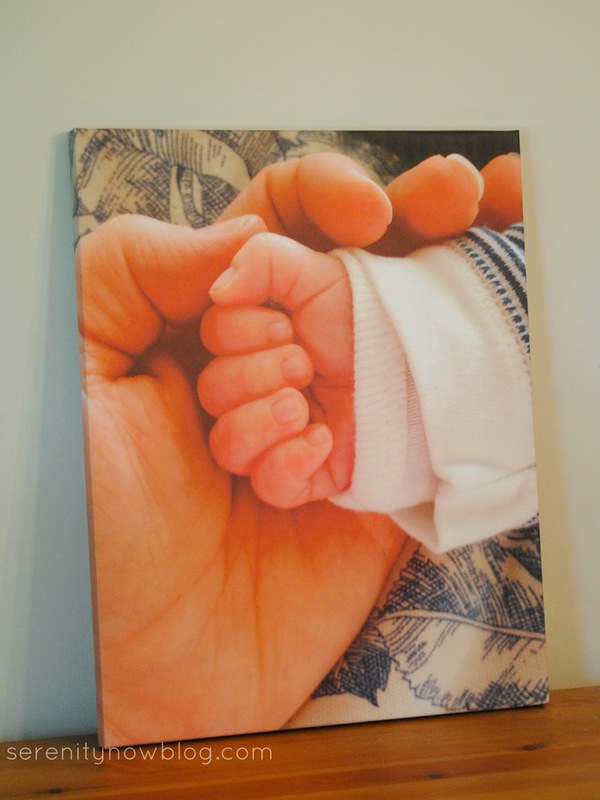 Printcopia is giving away an 8 x 10 x .75 Photo Canvas to one reader, plus free shipping! You can use the Rafflecopter widget below to enter. Please note the terms in the Giveaway app. I do confirm entries! This Giveaway will be open until 12 am EST on Monday, August 17th, 2014. You can connect with Printcopia on Facebook and Twitter. I received a canvas from Printcopia in exchange for a review, but was not compensated financially for this post. As always, all opinions are 100% my own. I do not review products or brands that I am not interested in or that I feel will not be a good fit for my readers. I would love to see a picture of Sherman on a canvas. Love the picture that you chose for yours! I just popped over to the website and love the panoramic prints. Would like the acrylic print. Thanks! the acrylic would be neat to try. thanks! I like the panoramic. So nice. Would love to try an acrylic print! Printing on acrylic sounds very cool! Falling leaves decal would look great un my sunroom! I would love know more about the decals. I would love to try one of the wall decals, especially the red bird houses.